The ghosts of South Africa couldn't be more varied. You'll find killers, victims, poltergeists, spooky drivers, as well as battlefield and road death spirits. Each one gives you a little insight into South Africa's story. But most of all, they provide for cracking good entertainment. Captain Hendrik van der Decken, of Holland, wanted to sail past the Cape of Storms (Cape Town) but apparently the weather was horrid and it was Good Friday or something, he cursed and swore at the weather and made an oath to that he will sail past the Cape even is he has to try until the end of days. 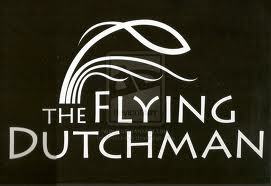 Well as long as there is an ocean, the "Flying Dutchman" will sail the seas and try to get past the Cape of Storms. 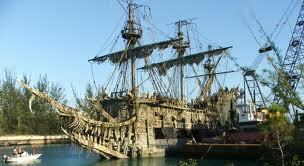 The Flying Dutchman is without a doubt the most well-known of all ghost ships. Although much of its story is legend, it is based on fact - a vessel captained by Hendrick Vanderdecken, who set sail in 1680 from Amsterdam to Batavia, a port in Dutch East India. According to the legend, Vanderdecken's ship encountered a severe storm as is was rounding the Cape of Good Hope. Vanderdecken ignored the dangers of the storm - thought by the crew to be a warning from God - and pressed on. Battered by the tempest, the ship foundered, sending all aboard to their deaths. As punishment, they say, Vanderdecken and his ship were doomed to ply the waters near the Cape for eternity. What has perpetuated this romantic legend is the fact that several people claim to have actually seen The Flying Dutchman - even into the 20th century. One of the first recorded sightings was by the captain and crew of a British ship in 1835. They recorded that they saw the phantom ship approaching in the shroud of a terrible storm. It came so close that the British crew feared the two ships might collide, but then the ghost ship suddenly vanished. 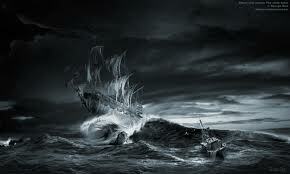 The Flying Dutchman was again seen by two crewmen of the H.M.S. Bacchante in 1881. The following day, one of those men fell from the rigging to his death. 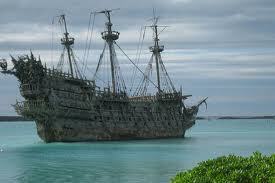 As recently as March, 1939, the ghost ship was seen off the coast of South Africa by dozens of bathers who provided detailed descriptions of the ship, although most had probably never seen a 17th century merchantman. The British South Africa Annual of 1939 included the story, derived from newspaper reports: "With uncanny volition, the ship sailed steadily on as the Glencairn beachfolk stood about keenly discussing the whys and wherefores of the vessel. Just as the excitement reached its climax, however, the mystery ship vanished into thin air as strangely as it had come." The last recorded sighting was in 1942 off the coast of Cape Town. Four witnesses saw the Dutchman sail into Table Bay... and disappear. The origins of the story are that a local farmer was very protective of his pretty young daughter and discouraged all suitors. He became suspicious of her activities at night after he had retired to bed. He was positive that she was sneaking out of the house to be with a local lad that often zoomed up and down the dusty road on his noisy motorbike. No matter how closely he watched his daughter he was never able to catch them together. So he decided to set a trap that would teach the young man a lesson, and scare him off for good. He waited for a moonless night, and strung a piece of wire between two trees at about chest height across the driveway of the farm. That evening after the farmer had fallen sound asleep his daughter quietly slipped from her bed and flicked her bedroom light three times. This was the signal to her lover that the coast was clear and he could come and collect her. The young man sped along the road unaware of the danger. As he approached the house the wire caught him across the neck and he was instantly decapitated. Another version of the story claims that the young man did in fact collect the daughter, and that it was on their way back that the wire decapitated them both! Kimberley is one of the most haunted cities in South Africa, so expect to experience some paranormal shenanigans when you take the Kimberley Ghost Tour. The Kimberley Ghost Tour begins at the Honoured Dead Memorial, designed by Sir Herbert Baker for the 27 British soldiers killed during the Siege of Kimberley between 1899 and 1900 during the Anglo-Boer War. Sip a welcoming glass of sherry to soothe your nerves, and then off you go. Kimberley, in the Northern Cape, has 158 haunted houses and buildings with well over 200 still to be verified by paranormal experts, but you'll visit ones known to have resident ghosts.In the historic Africana library, the restless spirit of the first librarian roams. He drank arsenic after he was found doctoring the accounts. Many visitors have seen books inexplicably crashing to the floor, and heard teacups tinkling at 4pm. 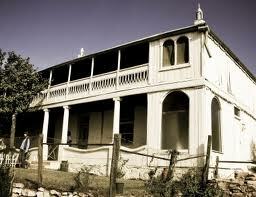 At Rudd House, a lady in white appears on the balcony; the former sick room is haunted by Percy Rudd the first owner; and the servants’ quarters have at least 6 ghosts in the courtyard.On the Kimberley Ghost Tour you’ll also visit the beautiful old Kimberley Club, where a ghostly waiter serves in the dining room, an elderly man walks the upstairs passage, and a woman in period dress stands on the staircase. In the old De Beers boardroom, an unknown ghost drifts by as lights swing mysteriously, and a ghost dog emits an ethereal howl on the porch. On occasion, balls of fire have dropped from the porch ceiling. 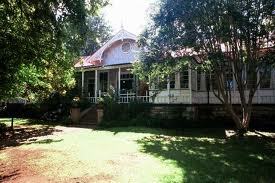 At the William McGregor museum, once a nunnery, a phantom nun wanders, while at the Terry Hall of Militia, a baby’s wail can be heard as the lid of a tin trunk mysteriously opens and closes.And if you visit the Magersfontein Anglo-Boer battlefield on a moonlit night you may well hear a phantom Scottish piper and see the flickering ghostly lanterns of the stretcher-bearers – over 50% of visitors claim they have. They lurk in ruined farmhouses, vibrant hotels, city alleyways and gloomy castles – just ask your ghostly tour guide for their South African ghost stories. The ghosts of South Africa are a colourful, dramatic and varied lot. Made up of murderers, victims, battlefield spirits and road accident fatalities, a South African ghost story is always worth telling.So when you ask the folk at the Swartberg Hotel in Prince Albert about their ghosts, they'll tell you about flying vases, characters moving about in old paintings and the shenanigans of a late-night poltergeist in the corridors. South African ghosts, you see, are good for business. Many years ago, a man murdered his wife in a riverbed near Beaufort West. Since then, people have seen a fast-moving light running up and down the river. They say it's the angry spirit of the dead woman. One driver who drove towards it apparently ended up in a lunatic asylum.The most famous country spook is the Uniondale hitchhiker. On a stormy night in 1968, an Air Force officer and his fiancée crashed in their Volkswagen Beetle just outside the town in the Kamanassie Mountains. He was badly hurt, she died instantly. Since then, people travelling the area on rainy nights have picked up a woman hitchhiker – who then simply disappears into the darkness again. A man was hitchhiking on a very dark night in the middle of a storm. The night was rolling by and there was hardly a car on the road. The storm was so strong that he could hardly see his feet in front of him. Suddenly a car came towards him and stopped. Without thinking, he got in and closed the door, just to realize that there was nobody behind the wheel. The car moved off slowly. He looked ahead and saw a curve in the road. Scared he started praying, begging for his life. He was terrified.Just before hitting the curve a hand appeared through the window and turned the steering wheel. The man, now paralyzed with fear, watched how the hand kept appearing every time they got to a curve. Gathering all his courage, he jumped out and ran to the nearest lights he could see.Wet and in shock, he went into a shebeen and asked for a double brandy. After drinking it, he told everyone of the horrible experience he had just had. Everyone was silent when they realized that the man was crying.About half an hour later, two men came walking into the shebeen and, on seeing the terrified man, the one said to the other, "Eish , isn't that the idiot that got into the car while we were pushing...?" Bloemfontein – Jim Fouché High School – Girl mysteriously disappeared in 1961. In 1967 the remains of a young girl were found underneath a newly built swimming pool. The discovery was followed by a series of strange events, such as: lights flickering, doors opening and closing, a girl heard singing. Her appearances are random and no one can tell when she will strike again. Bloemfontein – TibbieVisserlaan 13, Estoire - a Woman watching over the children and sometimes she calls you. There is also a black man and other Hauntings like windows slamming. 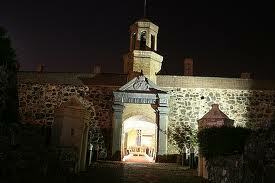 Cape Town – Cape Town Castle -This castle is probably world renowned for it’s historical purposes. 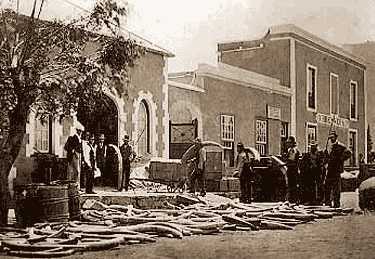 It was a castle build in the 1600′s for protection of Cape Town harbor against foreign invaders. Many slaves and traitors were held captive here…and tortured to death. The castle is a museum today and open to the public. Off course it’s got quite a few spooks haunting it. The ‘hole’, a tiny cell with no windows were used to torture the inmates. No sunlight what so ever entered this room/cell. After a time in the ‘hole’, the inmate would be blindfolded and taken out into the courtyard where the blindfold would be removed and they were forced to look at the sun and were blinded by doing so. That ‘hole’ screams of terror. Cape Town – Mine Quarry – Nothing visible, Just heavy feelings and sinister, deep and abusive voices. You really feel overwhelmed at the feeling of not knowing or understanding-Also there is a dense and sickening stench that hangs on you. It is as if the voices, stench and eerie feelings are a couple of feet from you and then and random intervals violently attack. It is a deserted hole in the mountain with a stagnant pool of water in the center-Quite beautiful during the day. Kempton Park – Avion Park Recreation Centre - A young male in cricket uniform was struck by lightning on the cricket field! He now haunts the adjacent buildings, sometime he plays with the CD player but he mostly wanders around in the corridors. The Old Presidency – This place is located in South Africa, in the Freestate, in a town called Bloemfontein, we think this place if haunted cause, you get a feeling that someone is watching you. Simonstown – The Simon’s Town Museum, Housed in the old Residency – A Haunted painting – if a picture is taken of the painting it won’t develop. *The punishment cell in the basement of the Museum. This is the cell where punishment was meted out to the slaves and prisoners. Whiplash marks can still be seen on the ceiling. And it is rumored that you can still hear echoes of their cries for help. Many other legends surraund this museum as well as the old town. Witbank – Celia str 1- First more than 11 years ago a lady died in the house after killing her 3 children and husband. She haunts the place to make sure nobody set her husband and children’s souls free. Monument Cemetery 10 km away. One wee dram led to another and within short the pipes were out and the haunting strains of a lament filled the crisp dry air. Then followed some rousing reels and marches all well saluted with a glass or two of the “good stuff” specially brought into the country for the occasion. This continued until the piper tired and lay down beside a tree to “rest his eyes” and “catch his breath”. He closed his eyes, he said, only for a wee while and thought of Scotland. 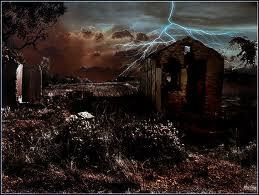 When he opened then dusk had fallen and to his horror his friends had departed. With a philosophical shrug he decided the best he could do was to walk back to the Lord Milner Hotel at Matjiesfontein where the group was staying. To keep his spirits up he decided to play a few airs on the bagpipes. At this time a family travelling the N1 had just stopped for a snack and to stretch their legs. The tourists’ hair stood on end when out of the evening gloom of the wayside cemetery they saw a piper, in full Highland regalia, emerge from among the gravestones, and start up the hill playing the pipes. All the piper saw as he skipped across the stile was them flinging their things hastily back into the car and them racing off into the night. The piper continued up the highway, well oiled from the drams o the afternoon and feeling no pain. He used the white lines in the centre of the road as a guide. There was little traffic, but the few cars that did approach slowed almost to a stop and sped furiously off. He could not understand this behaviour. Then a local farmer pulled up next to him and helped him into the bakkie. “God Lord, man,” said the farmer. “You’ve scared everyone half to death. 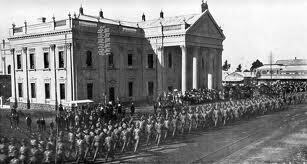 This is one of the most haunted areas of South Africa and cars are screeching into Matjiesfontein with everyone raving on about the ghost of the Old Major marching up the highway.” The piper guffawed. It gave him a splendid story to tell the lads back in the old country. And, after this story appeared in Rose’s Round-up and the Press, some wrote in suggesting this was a wonderful job opportunity for a retired piper! The Hex River Valley is surrounded by high mountains, the highest peak of which is the Matroosberg. Locals have said for years that the ghost of one Eliza Meiring can be seen wandering in a white nightgown on the lower crags of the Matroosberg, wailing. Needless to say, Elize has been dead for many years. She is known locally as the 'heks of Hex River Valley'. The story goes that that Elize, a young and beautiful woman who lived with her parents on a farmstead in the valley, sent her suitor to prove his love by bringing her a red disa (flower) that grew high in the mountains. She did this, they say, as she was rather vain and enjoyed the power she held over the many men who wanted to marry her. The girl and her fiancé was driving on his motorbike on Easter weekend on the road to Uniondale. They made a major accident where she died, the fiancé survived and later married someone else. 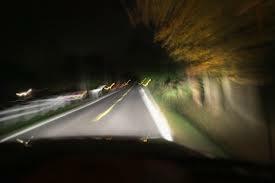 If, on a dark night during Easter you drive to Uniondale and see a smallish girl hitchiking and you happen to pick her up, usually the smell of appleblossom would accompany her. She would disappear sometime during the drive and only the smell of the flowers would remain. Other times if you become aware of the smell of appleblossoms while driving on that road you should know that the Uniondale Ghost had hitched a ride with you and she wishes to go back to her fiancé.As far as I know her visitations do not bode any evil. A group of ghosthunters claim to have put her to rest, but I'm not so sure..
A last well-known story is that of the "Ghost wagon in the "Spokeveld" (Ghost feld).The wagon would chase across the fields in the early morning silence with an incredible speed across unseen roads.Major Ellis recounts the following events in an old book. He was driving in the past coach from Ceres towards Beaufort-West. he was sitting up front with the coach driver when the wheel broke. They had to pull off the road in order to check what happened when they heard a wagon racing towards them. Ellis thought it was on the road heading straight towards them, but Anthony de Beer, the coach driver said No, the sound doesn't come up from the road. Apparently the noise the wagon made was amazing. As the wagon stormed past them Anthony shouted, "Where the devil are you going? "A loud voice answered, "To hell," and this was followed by a chorus of horrid laughter. As the wagon raced past a gust of icy wind followed them, as can be expected during an encounter with the spirit world. They caught a glimpse of the driver, he had a deadly white face with deadly piercing eyes and a white bandana tied around the lower part of his face. Uniondale is internationally well known for its ghost. Although visitors usually refer to the Uniondale Ghost in jest, the local people speak of the tragic incident with great empathy.During the bitterly cold Easter weekend of 1968 a young couple were involved in a car accident some 20 kilometres from town. The woman, with long dark hair and clothed in a dark blouse and long pants, was sleeping on the rear seat when her fiancé lost control of the car in the stormy weather. She was killed in the accident. The first recorded sighting was during the Easter weekend of 1976. The description of the ghost matched that of the unfortunate woman. Since then many sightings have been reported. According to witnesses sightings are characterised by a female hitchhiker who receives a lift, car doors that open and close at the site of the accident, a shrill laugh, a chilliness in the car and the total disappearance of the ghost. You're camping somewhere in a secluded forest or next to a lake under a starry sky. Huddled up around a campfire all tightly wrapped in blankets, the night's sounds are the only music. Suddenly someone gets the idea to tell ghost stories. You get a shiver down your spine and move a little closer to the person next to you, anticipating the fear to come...Everybody's played this campfire game at least once I'm sure. 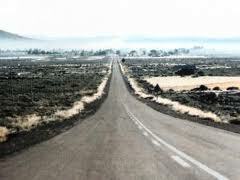 Why not pull out one of South Africa's legendary ghost stories that the local towns people of Uniondale swear is true...The scene: an icy cold Easter weekend in 1968 on a highway just outside the Route 62 town of Uniondale. A newly engaged couple, Maria Roux and GM Pretorius are travelling between Graaf Reinet to Riversdal. Maria, with her long dark hair and clothed in a dark blouse and long pants, is sleeping on the backseat when her fiancé loses control of the car in the stormy weather, just 20km outside of the town. The horrible accident only injures Pretorius but his fiancée's fate is far worse as she is killed.Legend has it that a woman, matching the description of the unfortunate Miss Roux, can be seen walking alongside the road where the accident took place. Some have ventured to pick her up. But minutes later they would hear a shrill laugh, the sound of a car door closing, chilliness inside the car and then a total disappearance of the woman.Sometimes a smell of apple blossom would accompany her - which would make sense, given that the town of Uniondale is predominantly a sheep, goat, and apple farming community. After she disappears, only the smell of apple blossoms reportedly remains. The tragedy of Ghost of Uniondale is believed to have been caused by Pretorius' marriage to another woman a year after the tragic accident - causing Maria's soul to become restless as her fiancé had found love in the arms of another woman.The first recorded sighting is said to have been during the Easter weekend of 1976.Since that first weekend, many people have experienced the same sighting. During Easter the local police department even keeps some sugar water on tap, just in case a Uniondale ghost sighting occurs.When Pretorius himself died in a car accident in 1984, Maria allegedly stopped appearing, causing people to believe she was at peace at last. But who knows, if you ever drive up to Uniondale on an Eastern weekend you might pick up a smallish female hitchhiker. 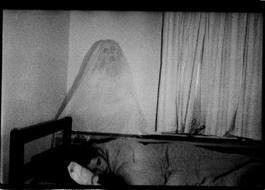 If you suddenly become aware of an apple blossom smell and get a cold chill down your spine, you should know that the Uniondale Ghost has hitched a ride with you. legend in the "vanishing hitchiker"
The N9 begins just south-east of George at an intersection with the N2. It runs concurrently with the N12 through the center of George and then north over the Outeniqua Pass. At the top of the pass, the N12 continues north towards Oudtshoorn, while the N9 turns east to run along the northern side of the Outeniqua Mountains and over Potjiesberg Pass to Uniondale and onwards to Willowmore in the Eastern Cape.From Willowmore, the N9 travels across the Eastern Cape Karoo through Aberdeen to Graaf-Reinet. From Graaf-Reinet it crosses the Sneeuberge through Naudesberg Pass and Lootsberg Pass to Middelburg, where it meets the N10. The N9 and N10 are concurrent northwards out of Middelburg, but after a short distance the N10 turns north-west towards De Aar. The N9 continues northwards through Noupoort to end at an intersection with the N1 just outside Colesberg.